Lion Guardians – Kimana’s Mystery Lion is Identified! Home / Amboseli ecosystem / Kimana’s Mystery Lion is Identified! 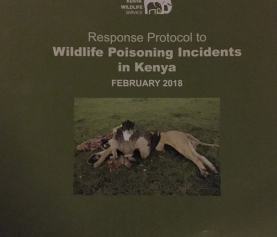 Earlier this year, Big Life Foundation – with support from the David Sheldrick Wildlife Trust – took over the management of Kimana Sanctuary, and we were excited to report that a lion was beginning to use the protected area and nearby wildlife corridors. Naturally, we were intrigued to find out more! When Big Life initially called upon us for assistance, they wanted one thing: to find and identify the lion. So we set up communication networks with the Sanctuary and appointed Guardian Olubi, who monitors the nearby zone, to combine forces with the rangers on the ground. Their goal was to track the lion, but not to provoke it while on foot. 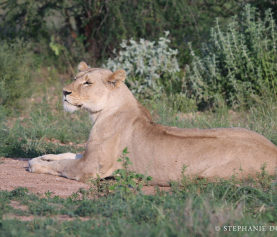 One day in late September, the team narrowed down where the lion was hiding. 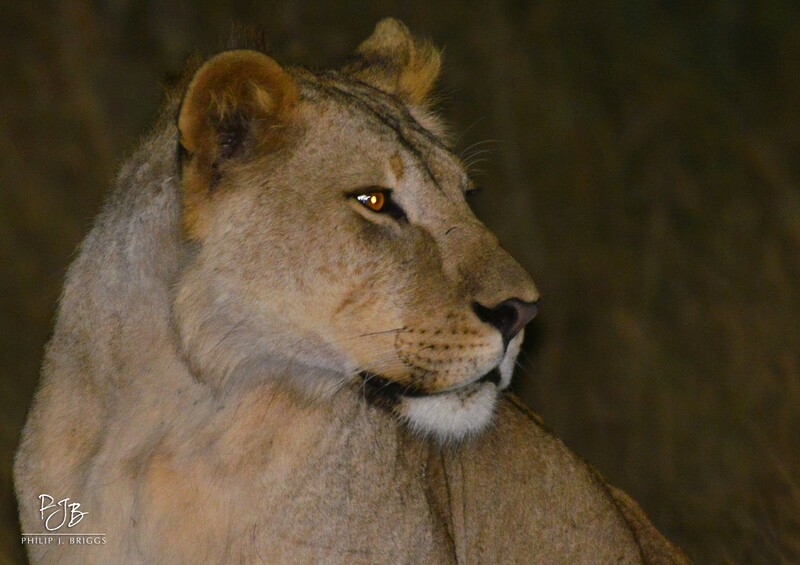 Since it was a dense thicket, we had to retreat – now in a 4×4 vehicle – and wait for the lion to move out itself. So we waited. Late into the night, we tested our luck searching the area until eventually we caught a glimmer of pure gold. There it was: a young lion striding confidently alongside the flowing river. In our truck, a ring of ‘high-fives’ rang out and we all congratulated each other for finding the lion. From afar, we didn’t know if it was a male or a female, but on closer inspection, we saw it was a young male with very little mane growth. He was relaxed, yet on the move, and he occasionally stopped to look at herds of zebra, wildebeest, and eland. Every animal in the sanctuary watched him meander along, as did we. The baboons – perched safely up high in the yellow fever trees – could hardly contain themselves, and bellowed out all sorts of salutations and provocations. Once we attained enough photos for identification purposes, we let him slip through our grasp and into the dark of the night. 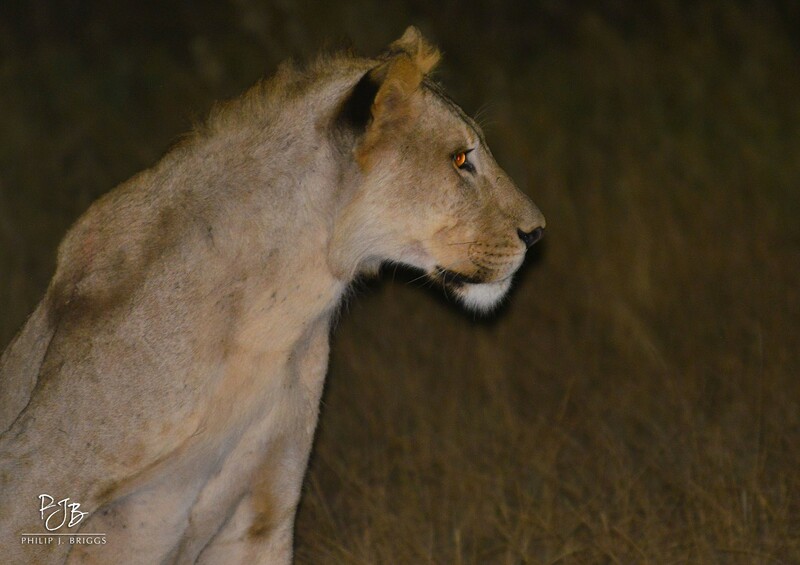 With our endorphins buzzing after finally seeing the lion, we immediately set about trying to identify him. 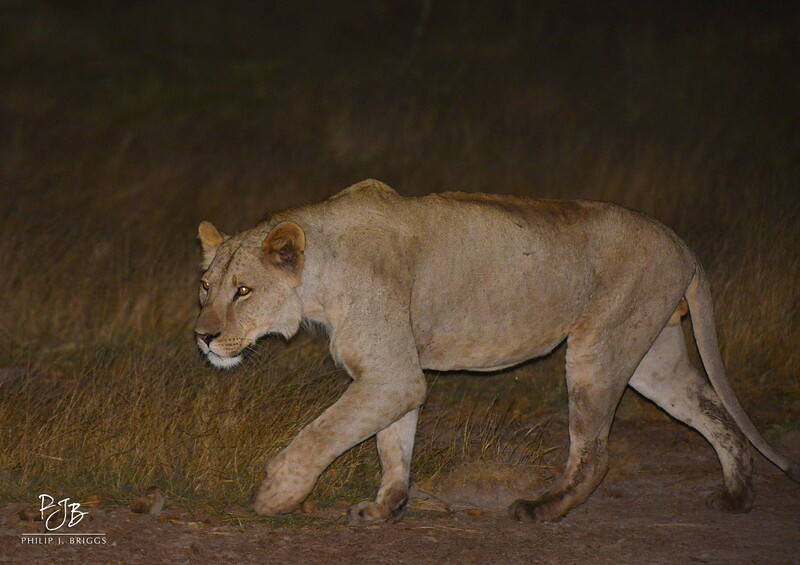 Would this be a lion new to the Amboseli ecosystem, maybe a disperser from Tsavo West National Park? Or might he be a lion already known to us, seeking out his own niche in this protected patch? Searching through the lion database, we narrowed the possibilities by general age and gender. The process goes a bit like this: open computer….upload new lion photo….filter, filter, filter…compare, compare, compare…computer exhales smoke…discuss options…agree…disagree…agree…verify…and BINGO! We got a perfect match: the lion is ‘Osunash’. No matter what the outcome, it was going to be exciting to know who the lion is, but it makes good sense for it to be Osunash. 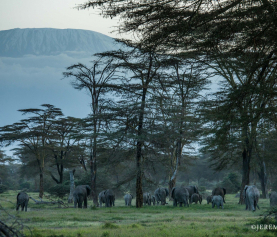 He was born and raised in Amboseli National Park – less than 25km away – and was observed close to Amboseli earlier in the year starting his dispersal journey. 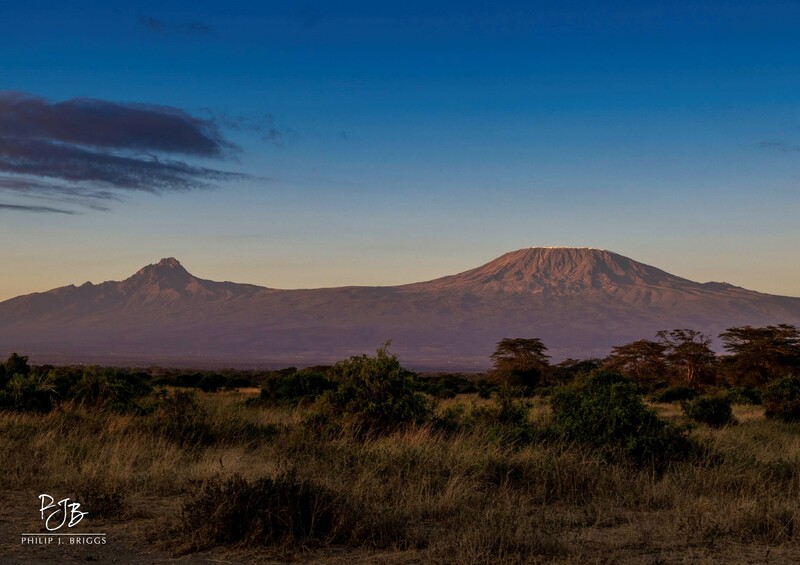 As far as conservation goes, the important story here is that the corridor from Amboseli to Kimana, which connects the Chyulu Hills and Tsavo regions, is clearly a functional passageway for predators that is allowing connectivity between these densely populated areas. We wish Osunash well on his journey in search for his own patch of ground. If he settles in Kimana Sanctuary, he is sure to be well looked after by the new Big Life management.